It was 5pm on the 3rd of May 1814 and the Island of Elba, the largest island of the Tuscan Archipelago, was preparing to welcome one of the most important leaders of the time, placing the small island at the center of political events in Europe. That day, in fact, Napoleon Bonaparte, who was forced to abdicate and exiled after the defeat in the Battle of Leipzig, arrived at Portoferraio as Emperor of Elba. 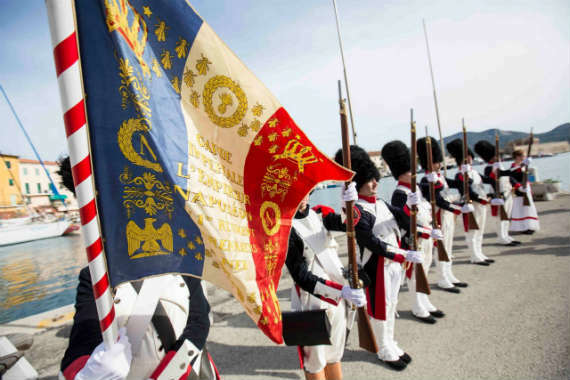 Napoleon remained on the island only until February 26, 1815 but those nine months represent a memorable historic moment for Elba that, exactly two hundred years later, the island celebrates with a rich calendar of cultural and reenactment events. 1814-2014: it’s been two hundred years since the arrival of Napoleon on Elba, but the presence of the Emperor on this land is still alive, thanks to the works put in place by him during his brief stay on the island. The initiatives organized on the occasion of the Bicentennial started in April and will continue until the end of February 2015. After the re-enactment of the landing of Napoleon on the island , held on May 4 and the exciting photo tour “Instatour” organized by an international group of Instagramers (we talked about that here), the program still many events to come, including several visits, tours and walks in the places where Napoleon lived. First, there is great anticipation for the exhibit of “Napoleon’s Tent” at Villa San Martino (which will be set up from June to September), where visitors can see the original tent “de campagne” used by the Emperor and which has been recently restored. Up to October, there are several nature walks “on the footsteps of Napoleon” scheduled to take place during the Walking Festival, as well as exhibitions and shows held in different towns of the island. These are just some of the initiatives that will take place from now until next February, you can find the full program and any updates on the official website of the Bicentennial here: http://www.napoleoneimperatoreelba2014.it/. 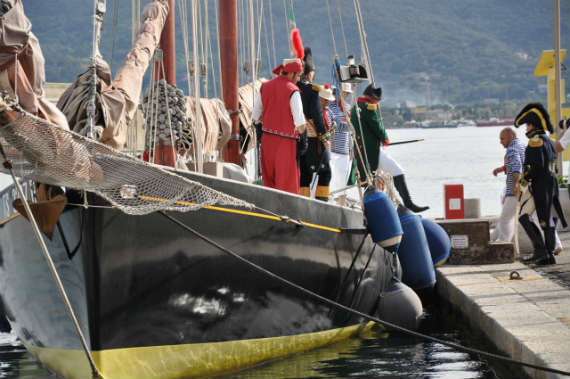 If you’re in Elba this summer, make sure to catch something that takes you back in time 200 years! Are you planning to visit the Island of Elba in the next months? In addition to keeping an eye on the program of events for the Bicentennial, you should also visit the sites of Napoleon independently. On the island there are two Napoleonic residences : the Villa dei Mulini (Villa of Mills), in Portoferraio and the Villa of San Martino, located in San Martino , also in the nearby of Portoferraio. 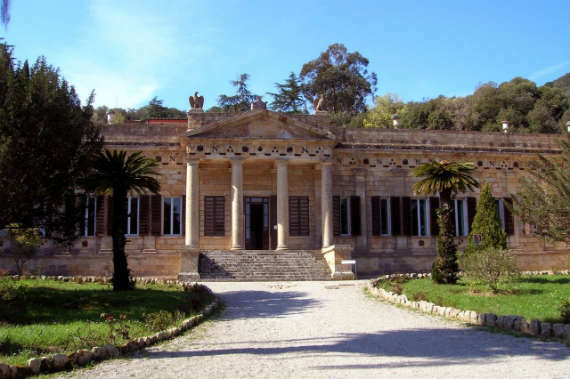 The Villa dei Mulini was the main residence of the Emperor during his stay on Elba and here are preserved some relics and antique furniture, as well as a part of the library that Napoleon brought with him on the island. The Villa of San Martino was not inhabited for a long time by Napoleon but here he spent some moments of private life. Today here you can see Napoleon’ s prints of the Nineteen Century and antique furniture strategically located in the beautiful frescoed rooms. In addition to the residences of the Emperor, in Portoferraio you can visit the Museo dei Cimeli (Museum of the Relics) of Napoleon, the Teatro dei Vigilanti and the Art Gallery Foresiana , with a room dedicated to Napoleon. In the surroudings of ​​Marciana you can visit the Sanctuary of the Madonna del Monte, where the emperor lived for a short time during his exile on Elba Island. For more information about what to see or where to stay on Elba Island please visit the dedicated section on our travel guide: http://www.discovertuscany.com/elba/.